We won’t get into sample rate today. I’ll save that for a future article. To summarize, sample rate measures how many times per second the audio is “sampled,” or measured. 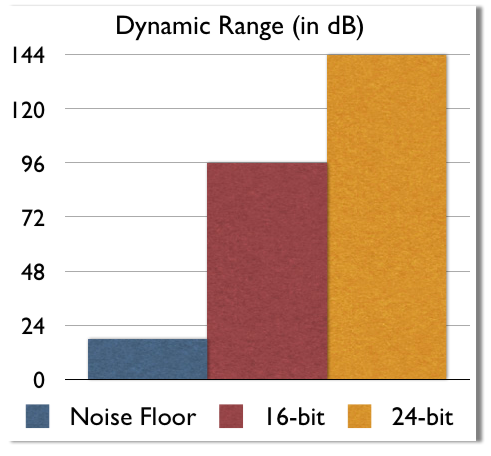 Common sample rate values are 44.1 kHz, 48 kHz, 88.2 kHz, 96 kHz, and 192 kHz. Is higher better? Hmm…I have my own take on this, but that’s for another day.